The atoll was probably discovered in 975 A.D. by Arabian sailors along with Dina Arobi (“Abandoned Isand” – Mauritius) and may be referred to as “Baixos” on the 1502 Cantino Planisphere. It was named in 1506 by Portuguese sailors who put ashore for provisioning on their way to India. Pirates have used the islands as a refuge. In 1598, the Dutch occupied the islands. Mauritius and its associated islands were colonised by the French in about 1715, granted by the King of France to the Compagnie des Judes in 1726 but retroceded to the French Crown in 1765. In the book ‘The history of Mauritius, or the Isle of France, and the neighbouring islands; from their first discovery to the present time’ by Charles Grant, the author quotes from his father’s papers that “The bank of Corgados Garayos was, in 1742, the first object of the researches made by the boat named the Charles, and the tartan the Elizabeth, dispatched from the Isle of France (Mauritius) by order of M. Mahe de la Bourdonnais, at that time Governor of it. These two vessels having made it on the 27th of August, anchored there, and traced a plan of it, by which it is represented in the form of an horse-shoe, and of six leagues in extent, running north-north-east and south-west. These two boats not having been on the north side, and, consequently, not having perceived the isles which lay off it, its small extent, and the affinity of its latitude and longitude with that of Saint Brandon, on which an English vessel, called the Hawk, (le Faucon) was stranded on her return from Surat to Europe, induced me to consider it as one and the same shoal” Saint Brandon was referred to as ‘Cargados’ in Samuel Dunn’s world map of 1794. In 1806 Napoleon ordered the proclamation of the Civil Code as the Law of Mauritius and its islands. When, in 1810, Mauritius and its islands were taken by force of arms by Britain, the articles of capitulation confirmed to the inhabitants, in accordance with British constitutional practice, the continuance of their own laws, i.e. the Code Napoleon as it then stood. The islands became part of a British Crown Colony in 1810. In 1820 the then Governor General of Mauritius granted jouissances in respect of the five groups as follows. He granted to Ozile Majestre alone a joussance exclusive over one group, the Iles Boisées, and to two individuals, Ozile Majestre and Dominique Bétuel, jouissances en partage over another group of six islands (Petits Foux, Lavocaire and four others). He granted three further jouissances exclusives to respectively M. Burceret (La Baleine and l’île aux Cocos), Mme. Veuve Raphaël (l’île Raphaël) and Mr William Stone (Ile Veronge and Ile aux Bois). All these jouissances were unlimited in time. Under a deed of transfer dated 4 September 1900, M. Louis Souchon, apparently the then owner of the jouissances relating to Iles Boisées and the six islands, sold the jouissances to the St Brandon Fish & Manure Co. Ltd. Under a second deed dated 20 September 1900 The Mauritius Cooperative Engrais Chimiques Co. Ltd., acting as owner of the remaining three jouissances, sold these to the St Brandon Fish & Manure Co. Ltd., which thus acquired all five groups of the St Brandon Archipelago. The Colonial Government was asked to give its consent to such sales, and on 19 October 1900 notified the purchaser company that it had no objection to the transfers provided that (in translation) “the jouissance which the said company possesses of the above islands and islets be converted in accordance with section 26 [of the 1874 Ordinance] into a permanent lease”. The Government’s requirement was accepted by the purchaser company and led to the Deed of 11 October 1901. 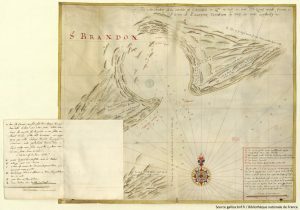 The Deed, described as a “permanent lease by the Colonial Government to the St Brandon Fish & Manure Company Limited” was executed on behalf of the government by the Surveyor-General, M.de Coriolis, who on the government’s behalf ratified the two September 1900 sales to the purchaser company. The Deed formally declared that “… the jouissance currently held by the St Brandon Fish & Manure Company Ltd of the islands and islets referred to above be converted to a permanent lease in accordance with the above Ordinance, [with the company] claiming the rights of those to whom the Government of Mauritius granted it originally” and that the lease was to commence as from 2 October 1901. The “permanent lease” contained a number of conditions. 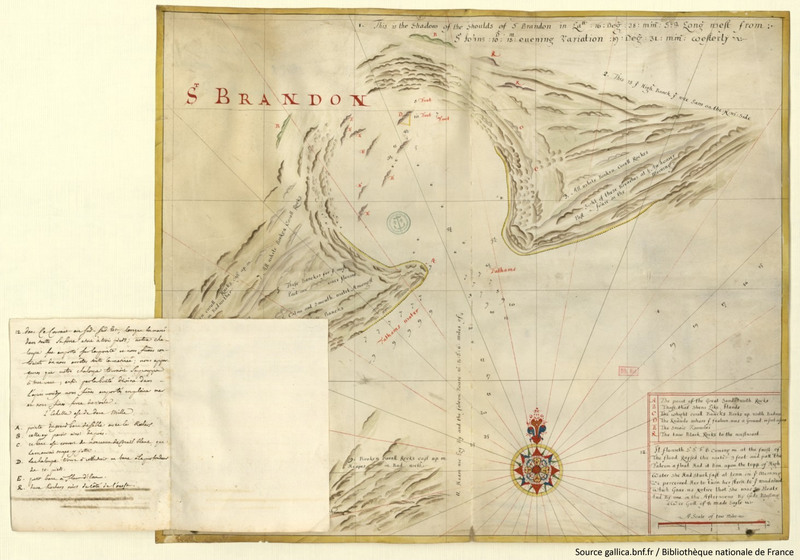 In particular, the St Brandon Company was to export all the guano it found on the islands and to pay the Government a royalty of 5 rupees per ton. All the produce of the islands was to be sent to Mauritius. Furthermore “les clauses & conditions contenues aux actes de concession de la suds: jouissance sont maintenues dans leur intégralité & lieront la Société … envers le Gouvernement Colonial….” The company was also to pay the Government an annual sum of one rupee, which was due on 2 October each year. In more modern times the islands were mined for phosphates derived from guano. Mining ceased in the mid-20th century. During October–November 1917, the St. Brandon Islands and, in particular, the lagoon of Cocos Island, were used as a base by the German raiding vessel Wolf, commanded by Fregattenkapitän Karl August Nerger. At Cocos I., Wolf transferred stoking coal and stores from a captured Japanese ship, Hitachi Maru, an operation that took three weeks. The coal was necessary for the raider’s return to Germany. To do so, Wolf had to run a gauntlet of Allied warships from near the Cape of the Good Hope to the North Atlantic. On 7 November 1917, the Germans scuttled Hitachi Maru 16 miles off shore and Wolf departed. She reached her home port of Kiel on 24 February 1918. Still on board were 467 prisoners of war from captured vessels, as well as substantial quantities of rubber, copper, zinc, brass, silk, copra, cocoa and other materiel. In the 1921 census, the population had plummeted to just 22. There were 21 were men (ages 19–48) and just one woman, a married Catholic, aged 31. 14 people were identified as part of the “general population”, with 11 of them born on Mauritius, one on Rodrigues and two in the Seychelles. In addition, there were 3 Indo-Mauritanians and 5 “other Indians” from Madras, Calcutta and Colombo. In 1925 the liquidators of the St Brandon Company sold the right to the permanent lease to France Ulcoq who sold it in 1928 to the Raphael Fishing Co Ltd (“Raphael Fishing”). Mauritius, and its islands, became an independent state within the Commonwealth in 1968 and a republic in 1992. .